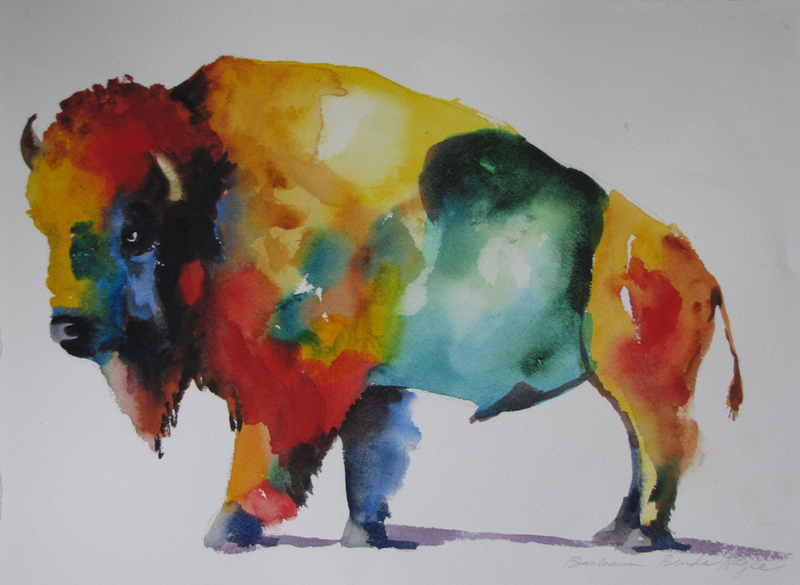 Bev Benda: My Coach Bev — Bison Named National Mammal: Love, But Do Not Touch! On May 9, the bison was named the national mammal through the National Bison Legacy Act. The campaign was led by Sen. John Hoeven, R-N.D., Martin Heinrich, D-N.M., and 11 other co-sponsors. This act passed through Congress and the Senate easily before being signed by President Obama. A few facts: Bison are the largest land animal in America, found in all 50 states. While there once were millions roaming the plains, by 1876, bison faced extinction. In 1905, ranchers, tribes and conservationists joined President Theodore Roosevelt in the first major wildlife recovery in world history. The numbers are now back to 500,000. Bison are valued for their historic importance but also for economic, cultural, environmental and sociological benefits they provide. One of the roles I read about was their contribution to biodiversity. This brought back memories of an amazing experience I had about 15 years ago in Medora, N.D., one of my favorite family vacation spots. Our sons — ages 11 and 7 — had never ridden horses before, so we signed up for a trail ride. We were the only people who showed up for the afternoon ride, which meant we had the guide all to ourselves. She was fabulous. “Karen” (not her real name) was a true educator — in her “normal life” she was a high school Family and Consumer Sciences teacher. She was ever so gentle teaching the boys how to ride their horses in the corral before we headed out on the trail. She taught them how to keep their horses’ heads up so they didn’t start grazing and refuse to move. She kept the ride interesting by telling stories about the wildlife and the history of the Badlands, while also giving us time to ask questions or simply enjoy the view. Near the end of our two-hour ride, we came to a bluff and were overlooking a herd of bison. She asked us if we were ready to go down and ride through the herd. Whoa! Enter Karen’s lesson on biodiversity. She informed us that bison and horses are “friends” in nature, but bison and humans are not. She assured us the bison would be kind to us as long as we stayed on our horses and didn’t talk or be disruptive. We agreed, then silently and slowly went right through the middle of that large herd of bison. I was a bit tense at first, especially when I found myself right next to these gigantic wooly animals, looking right into their eyes. But when they peacefully looked back at me without batting an eye, I relaxed. My sons braved their way through without a word. The herd did not stir; it was as if we weren’t even there, or as if we were one of them. Biodiversity. The ability of different living animals (and plants) to live peacefully together. It made sense to leave the bison alone — they were being calm, so why rock the boat? It was surreal to be among them, hear them breathe, yet slip through almost unnoticed. It’s beyond my imagination that tourists in Yellowstone National Park would approach, touch, pet and take selfies with bison. Worse yet, is the story of the father and son who loaded up a baby bison and put it in their vehicle, “thinking” it was cold. The mother rejected the baby bison (due to its contact with humans) and it had to be put to sleep. This is sad beyond words. One doesn’t need a lesson in biodiversity to understand that mothers and babies belong together or that a furry baby bison doesn’t need to be in a heated car for warmth. This is common sense. So is not putting any wild animal in your car. Having watched the news on events in Yellowstone, I noticed there are a lot of people without common sense. I wouldn’t blame Medora trail guides if they don’t take people through the bison herds anymore. When my sons and I went, we didn’t even take a camera along. We were committed to holding onto the reins. It’s not enough to appoint a national mammal. We need to protect it from exploitation and harm from its greatest threat to its existence — human beings. Bruiser © original painting reprinted with permission by Barbara Benda Nagle, Moorhead, Minn.